In South Africa, about one third of pregnant women experience a common mental disorder. Due in part to the shortage of mental health specialists, many individuals do not receive the care they require. The goal of the Perinatal Mental Health Project (PMHP) is to integrate mental health care into routine antenatal and postnatal health care to address the shortage of human resources and bridge the treatment gap for perinatal mental disorders. "Maternity nursing staff have successfully managed to incorporate mental health screening into routine procedures reporting high levels of acceptability of this integration." At their first antenatal booking at the maternity unit, women are screened for psychological distress and for risk factors for common perinatal mental disorders. Screening is self-administered in private and scored by nurses, and available in three local languages (English, Afrikaans and isiXhosa) and in French. Pregnant women with psychological distress and/or at least three risk factors are offered referral to an on-site counselor for individual, face-to face counseling, which coincides with their antenatal visits. Where appropriate, counselors can refer women to a psychiatrist who attends the clinic twice a month, and to on-site services, such as HIV/AIDS peer counselors, social workers etc. Counseling is provided by non-specialized health workers: sessions are client-centered and include techniques such as containment, psycho-education and problem-solving. At 6-10 weeks, counselors conduct telephonic or face-to-face assessments to evaluate women’s mood and whether further counseling is necessary. Women can receive counseling for up to one year postpartum. All counselors receive weekly, individual supervision by the clinical services coordinator, a clinical psychologist, and attend a group meeting bi-monthly to debrief and receive on-going education from the clinical services coordinator. PMHP also provides training and workshops to staff in order to attend to health workers’ emotional well-being, increase awareness of common perinatal mental disorders among health workers and equip health workers with empathic engagement skills. 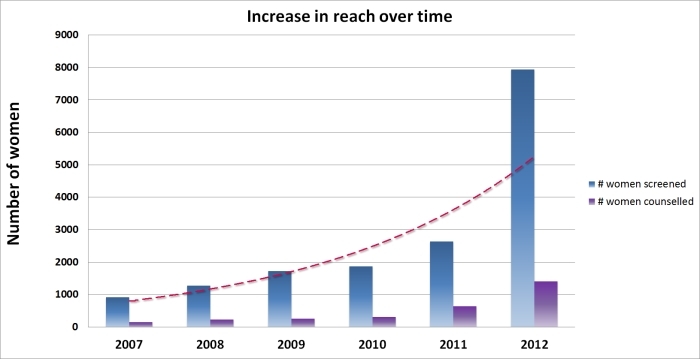 PMHP operates complementary research and advocacy programs which act to refine and promote scale up of the service. Regular training updates with maternity staff ensure that health workers are aware of, and understand the importance of PMHP’s service facilitating the integration of the service into maternal care. 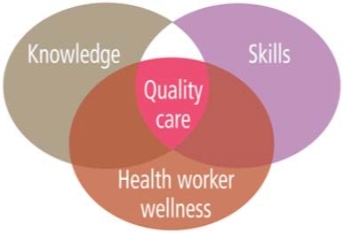 Provided continuous training, supervision and support to non-specialist health workers to: (1) manage the high case load generated in low-resource settings and (2) avoid burnout and ensure the sustainability and quality of maternal mental health care provided. Established protocol and referral systems enable more effective case management. The availability of an on-site counselor, and consolidating links with organisations in the community, strengthens the referral system and allows for more comprehensive care for distressed women. Regular monitoring and evaluation of screening and counseling procedures are essential for quality control, understanding the patterns of service use and identifying barriers to accessing mental health services. Overwhelmed, stressed and traumatized maternity ward nurses, with little recourse to supportive services or debriefing opportunities. Mothers from a variety of cultural backgrounds called for multi-language counseling: English, Afrikaans, isiXhosa, and French for the large proportion of francophone refugees. Limited availability of feasible and acceptable screening tools for maternal mental disorders. PMHP uses the Edinburgh Postnatal Depression Scale. Though validated in South Africa, it is too cumbersome for low-resource settings. PMHP is developing a shorter tool which should be more feasibly integrated into the primary care setting. 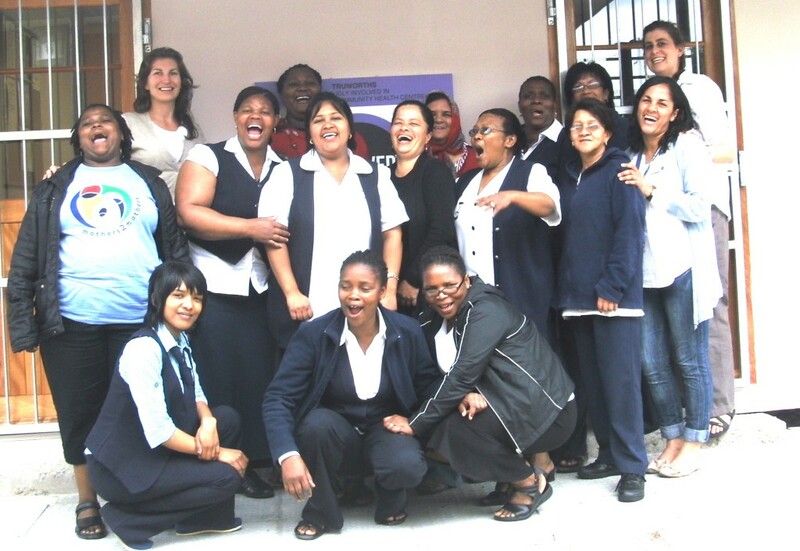 PMHP has extended its service to two other community maternity units in Cape Town. As all of the current PMHP sites are situated in urban areas, there is a need to field test the service in a rural site, where fewer resources and different challenges exist. The literacy rate is high in South Africa (93%), compared to other African countries (e.g. 40% in Ethiopia; 73% in Uganda), where self-administered screening may not be feasible. A shorter screening tool, such as the one PMHP is currently developing, could be more pragmatic for health workers to administer during their routine history-taking. The tool will be field tested in a range of settings including New Zealand, India, UK and USA. In comparison, the average rate of private sector psychotherapy is $70 USD per hour for one individual counseling session alone. In low-resource settings, where women can face many barriers to accessing health care, providing integrated mental health care at the same time and same place as routine maternity and well-baby care minimizes travel costs, time away from employment and child-care responsibilities. Thus, PMHP’s counseling intervention, which uses existing services and resources, achieves better service uptake with minimal extra costs. Visit the PMHP Outcomes page for further information on this innovation's impact to date. PMHP (2013) The Perinatal Mental Health Project mid-year report. 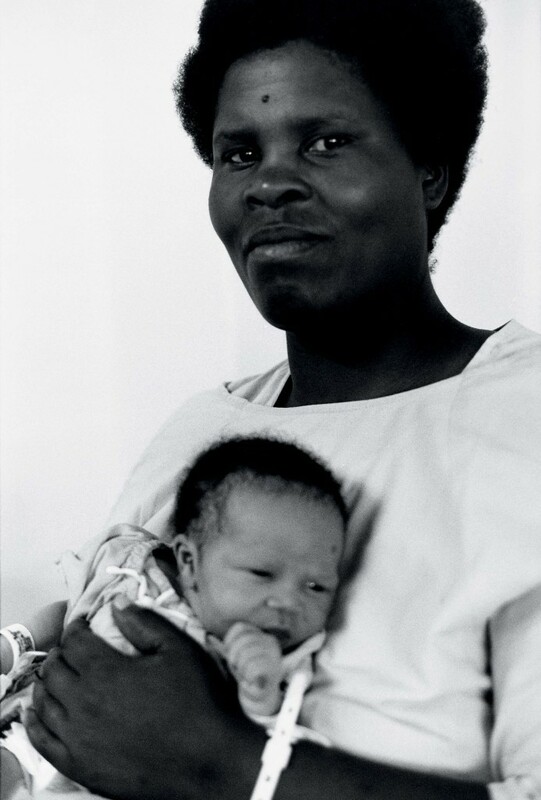 Cape Town: Perinatal Mental Health Project. PMHP (2013) The Perinatal Mental Health Project: impact and outcomes. Cape Town: Perinatal Mental Health Project. Good work. I would like to know how the screening was done? Did you use a particular screening tool to identify them? If yes, what tool. If no, how did you go about your screening. Thank you. Hi Jake, this is Grace from the MHIN team. 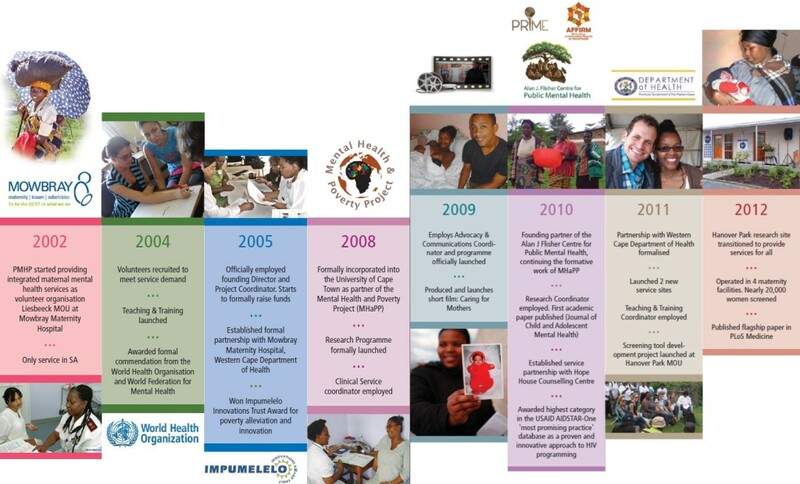 PMHP have kindly provided further information about the screening tool on this resource page, which also links to a video about the tool's development <http://mhinnovation.net/resources/screening-common-perinatal-mental-disorders-south-africa#.U-sutfldV8E>. If you would like to get in touch with PMHP directly, you can also click the "Email" link just under the PMHP logo on this Innovation page. You can look forward to a blog from PMHP about this work as well, which we will be posting soon, so stay tuned to the Community section for more. Enjoy! A supplement handbook developed by The Perinatal Mental Health Project (PMHP) to provide training to helath workers involved in caring for mothers.